Whatever your fitness goals, the spacious gym at Crystal Palace National Sports Centre has all the facilities needed to help you achieve them. We have dedicated fitness instructors and personal trainers on the gym floor who will support your needs. This pool is 50m long by 20m wide, with 8 lanes and has a depth of 1.83m - 2.06m. Equipped with a Swiss timing system, scoreboard and Ares software. The racing pool can also accommodate water polo, synchronised swimming and octopus by arrangement. This pool is 18.28m long and 7.62m wide with a depth of 0.83m. This pool is 25m long and 12.5m wide with 6 lanes and has a depth of 0.9m - 1.0m. There is limited spectating in this area. This pool is 20.11m long and 15.84m wide with a depth of 4.78m. There are 2x 1m spring boards, 2 x 3m spring boards, 1 x 5m, 7.5m and 10m platform boards. Weekly fitness class programmes take place in 2 x fitness studios at Crystal Palace National Sports Centre. This studio is 17.37m long by 10.36m wide. The studio has a semi sprung wooden floor and has mirrors on one wall and an arrange of aerobic equipment. This studio is 13m long by 10m wide. The studio has a semi sprung floor and has mirrors and ballet bars. Our studios are also suitable for birthday parties. The stadium has a 400m 8 lane Tartan Track with full facilities for all track and field events. The grass area on the infield is 95.1m long by 67.5m wide. This area can accommodate pitches for football. This area is floodlit. The stadium also accommodates seating for 16,500 people with 9,500 covered. The indoor track is 110m long by 10m wide. It houses a 6 lane 60m Tartan Track. This area also has pits for jumping and a throwing cage. The main arena is 46m long by 29.18m wide and has a Junckers Sylva premium beech semi sprung floor. This area provides 6 badminton courts, 2 basketball courts, 1 basketball show court, 2 volleyball courts, 1 volleyball show court. This area can also accommodate 5 fighting areas, 8m long by 5m wide. There is bleacher seating for approximately 1500 people and other activities can be accommodated by arrangement depending on specification. The north balcony is 32m long by 17m wide and has a Junckers Sylva premium beech semi sprung floor. This area provides 4 badminton courts, 1 basketball court and 1 volleyball court. This area can also accommodate 2 fighting areas, 8m long by 5m wide. There are also floor plates for Asymmetric bars for gymnastics. This area is great for birthday parties and can accommodate other activities by arrangement. This is a sand based all weather pitch which is 88.4m long by 49.4m wide. This area can house hockey, football, 5-a-side football, korfball and Lacrosse. The dome is a covered area which has a 3G rubber crumb base. The area is 54.4m long by 35.7m wide. 5-a-side and 9-a-side can be played. The north pitch is 54.4m long by 37.6m wide. It houses 2 uncovered 5 or 6-a-side football pitches which would measure 37.3m long by 25m wide. It also has a run off of 5.1m. The indoor 5 is a 3G rubber crumb covered area which is 43.13m long by 21.33m wide. Great for playing 5-a-side football. Crystal Palace National Sports Centre has 4 outdoor hard court tennis courts, which can also accommodate netball. Crystal Palace National Sports Centre offers 3 x squash courts which are 9 metres long by 6 metres wide. All of the courts have a semi sprung floor with a viewing gallery. 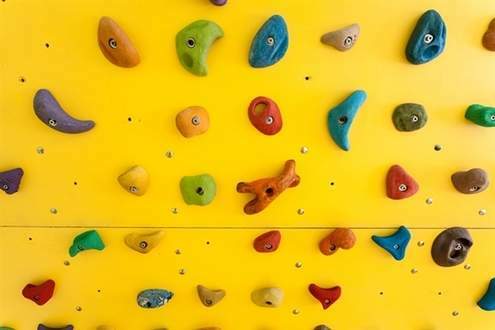 The Climbing Wall at Crystal Palace National Sports Centre is a fun and dynamic climbing environment that caters to both total novices and experienced climbers alike. The bouldering facilities incorporate many features from exposed slabs and double overhangs to a cave and featured bouldering wall (styled to match the Sandstone rock formations found in the surrounding Kent countryside). There are also four 6.5mtr top roping and lead climbing routes with problems up to 7b. Crystal Palace National Sports Centre has 2 x training halls. Both halls are 17.37m by 10.36m with cushioned backed lino. Room 1 has 4 trampolines and Room 2 has 1 trampoline and facilities for dry diving. The beach at Crystal Palace National Sports Centre is made up of 3 x community beach volleyball courts which, with suitable notice, can be turned into 2 x national / club courts or 1 x international court. The sand was donated from the Olympic test event which was held in the horse guard’s parade in 2012. There is a seating area and flood lights are available. 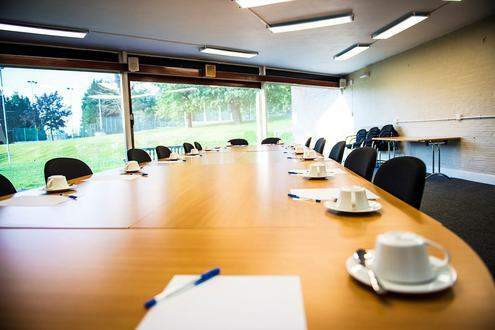 The Lodge is an accommodation building which is adjacent to the Crystal Palace National Sports Centre, and provides excellent value for money with 87 rooms and 144 beds across 10 floors and views over Crystal Palace Park and South London. Paxton Suite has seating for up to 50 people. The Crystal Palace National Sports Centre Creche offers 'Play and Learn' for under 5's, giving you the chance to take part in leisure activities, knowing your children are well-cared for. You can leave your child for up to 2 hours in any 24 hours. Booking is essential as places are limited. Our Creche 'Play and Learn' is Ofsted registered. This means that the Creche is regulated and inspected to ensure that the care of the children who attend is of an excellent standard. The cafe at Crystal Palace National Sports Centre works in partnership with Baxter Storey, who run the facility on our behalf. The cafe provides hot and cold snacks, sandwiches and beverages. They also can provide food for events, conferencing and birthday parties.